It wasn’t always like that. Let me go back in time a bit. We started working on swapit back in mid-December last year and launched our very first private beta in January. Our hand-picked crowd of swapit beta testers was awesome to collect first-hand feedback from, and to see if we’re on the right track. That helped us a lot to validate our approach, but it didn’t do much to get the word out about swapit through app store distribution channels. On April 2nd, we launched our “swapit landing app” on Google Play which allowed users to easily request an invite to our private beta. One of the main reasons why we created the landing app for swapit, was feedback and experiences we had during the CoCoon Pitch Semi-Finals (which we rocked, by the way!). We noticed how some folks saw our awesomely green pull up banner who then went straight to Google Play or the iTunes App Store to download swapit. As there wasn’t any app available there, they either stopped right at that moment, or downloaded some other app with a similar name, or they asked us why they can not find the app. Those were all valid responses and we needed to act. Besides making it easier for everyone to get access to swapit – or in this case, to our invite-only beta program – we could also get our foot into the door and secure our spot in the Google Play search index. Once we launched our swapit landing app, swapit could be found on Google Play. Yet, it was ranked very far down the list and one had to actually scroll down quite a bit to download the app. On May 12th, we then pushed swapit out into the wild – we went public beta on Google Play which came with the switch from beta testers to beta users. That means, we now started to encourage people to post real trades on swapit. At the same time, we directed all of our private beta testers to the Google Play store to download the latest version from there. That diversion of traffic obviously pushed our download numbers on Google Play up and swapit made a significant jump up to the #3 spot for the “swapit” search term. Over the past weeks, we have been rather quiet on our blog while we were focusing all of our efforts to spread the word about swapit all across the territory. We had been attending events & exhibitions, we were actively involved in social media, ran some advertising campaigns, reached out to upcoming events, set up a micro site to download swapit at http://get.swapit.la, talked to more and more of our users and were in general engaged in the swapit community. All these efforts have proven to be successful approaches to drive the adoption of swapit in Hong Kong. Some were more and others were less effective, but that’s something for another blog post. Since about June 7th, we noticed that swapit now ranks #1 when searching for “swapit” on Google Play. There are many factors as to why swapit is now ranking higher up than other apps, but in general – and that’s common sense actually – the more traffic & engagement you’re getting on your app on Google Play, the higher it will rank in the end. Swapit is still ranking only #66 for “hong kong second hand” right now. Next step: improve that ranking and push swapit up into the top ten of those search results. We’re working hard on that and perhaps I will find some time to blog about the results of that too. 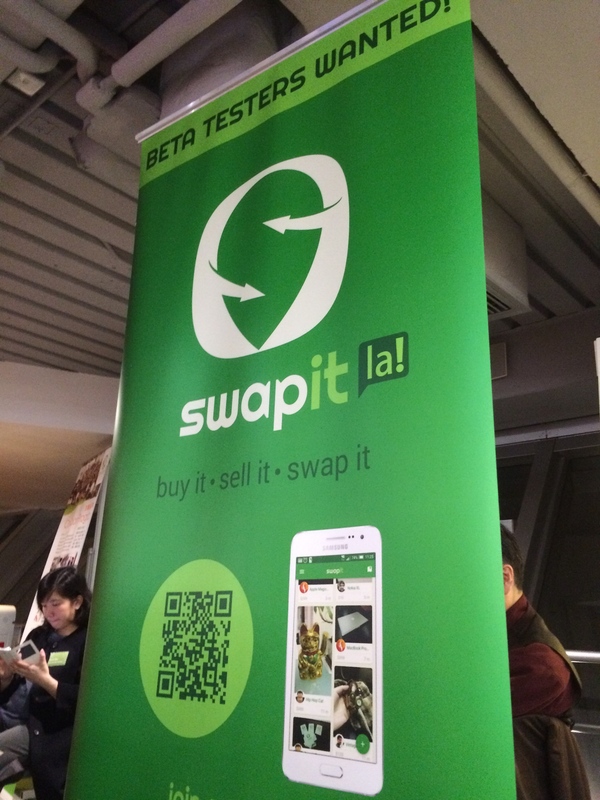 If you don’t know what swapit is all about – you better check it out right now la! Just go to: http://swapit.la it’s free and awesome!